The cool video in this article is the short film that features the most sierra hotel clips chronicling the 2016 Western Pacific (WESTPAC) deployment of the F/A-18F Super Hornets from Strike Fighter Squadron (VFA) 41 Black Aces aboard USS John C. Stennis (CVN 74) aircraft carrier. 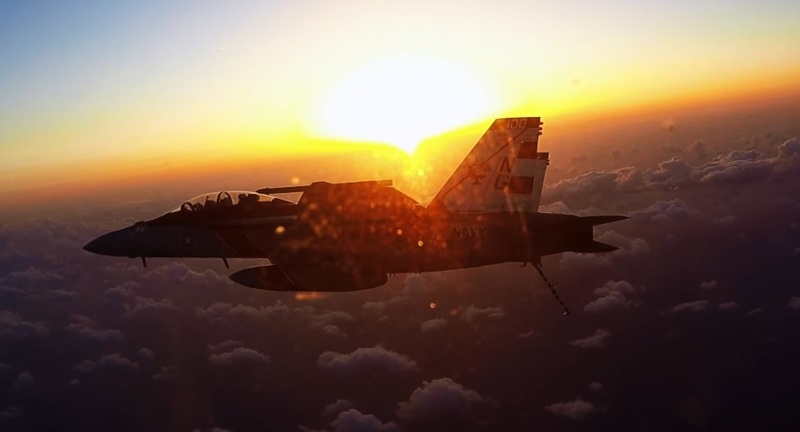 Noteworthy Strike Fighter Squadron 41 personnel began the transition from the F-14A Tomcat to the F/A-18F Super Hornet in Dec. 2001 and from Mar. to Nov. 2003, VFA-41 undertook its first WESTPAC cruise since the Vietnam era. On Jan. 2016 VFA-41 with Carrier Air Wing (CVW) 9 deployed aboard the USS John C. Stennis, CVN-74 to the South China Sea to ensure Freedom of Navigation. Ports of call during this deployment included Guam, Busan, Singapore, Manila and Pearl Harbor.